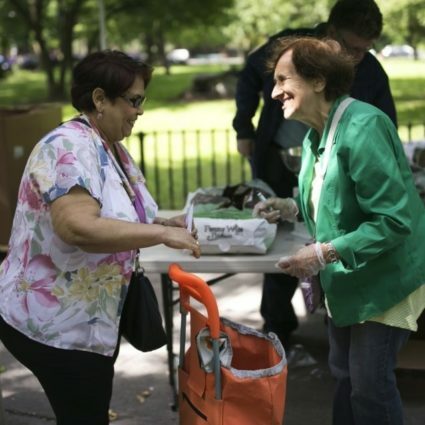 Our Healthy Retail staff works with corner stores and supermarkets across New York City to ensure that desired and usable fresh fruits and vegetables are easily available and affordable in all communities. 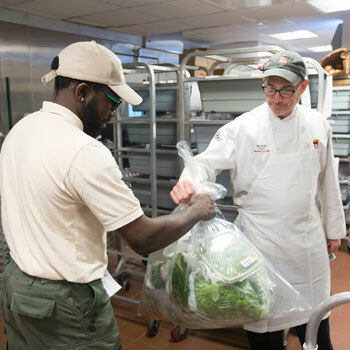 We work with participating corner stores and supermarkets, providing training and technical assistance, infrastructure development suggestions, and strategies to increase fruit and vegetable sales. We also conduct cooking demonstrations and shopping tours in many of these stores to provide customers with new ideas around shopping for and cooking healthy meals. 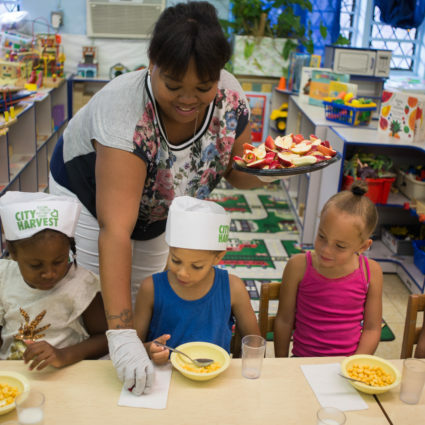 Through our food security programs, we work with community partners in low income neighborhoods across New York City to improve access to healthy, affordable food. 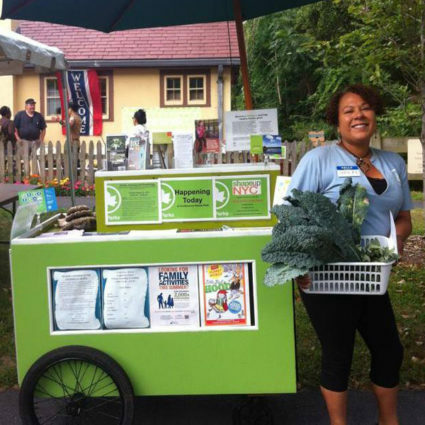 Community partners make our food security programs possible. We are fortunate to work closely with some of New York’s best!